Siliconera is reporting Hiroshi Kajiyama - the illustrator of the Golden Sun series – has passed away. His son made the announcement on his father's Twitter account on Saturday. The notice did not reveal the cause of death or how old he was. Kajiyama started out in the video game industry in the 1990s and was known for his illustrations including the character and enemy designs in the Shining Force series. Later down the line he worked on the Golden Sun series for GBA and DS and was also well-known for his work in the manga industry. From everyone here at Nintendo Life, we extend our deepest sympathies to Mr Kajiyama's family, friends, and co-workers. ... Ouch, all over ouch. Aww damn. I remember having Official Golden Sun PC Wallpapers with his art during my college years. R.I.P. I really loved the Golden Sun art so this is a real shame. It makes me want Isaac to be playable in Smash all the more. Not sure if we've seen him as an assist trophy yet. Golden Sun and Shining Force will never be the same again. RIP Kajiyama. this makes me so sad. He did some amazing art. Always a sad occurrence. I just played Golden Sun for the first time fairly recently and hope to move onto The Lost Age before too long. My sympathies to this man's family. "Golden Sun series for DS and 3DS"
I think you mean GBA and DS. Regardless, sad to hear. The art for Golden Sun was really good. Hope his son and family are doing okay. Horrible news.. I still hope for the series to continue with the cliff hanger ending of the third game. Perhaps they will honor his work by making it a reality! Sorry to hear this. That was back when the Shining games were proper tactical SRPGs, and that art played a huge part in defining the characters and their world; if only Sega would return the franchise back to those glory days. Thanks for the fond memories. Very sad. My condolences to the family. Heartbroken to read this news this morning. 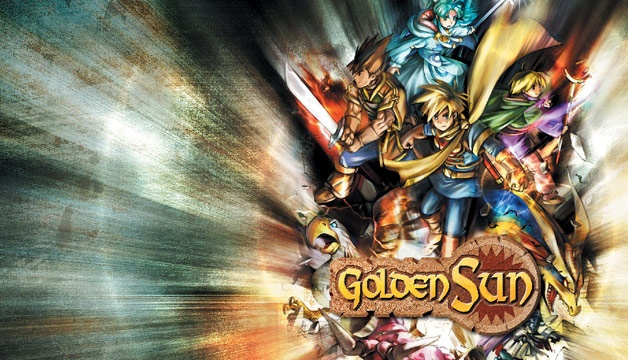 The artwork of Hiroshi Kajiyama is a major personal influence on this Golden Sun fan since his youth (if while browsing an RPG or Smash Bros article you've ever come across my comments in the appropriate section of this site, you are likely tired of seeing me beg quite shamelessly for Golden Sun representation on the Nintendo Switch). Loved this series and this man's artwork for a long time, I wish the best to his friends and colleagues. Praying for him and his family. I tried Googling him, because I don't know much about him, but unless he was also a politician, there is a politician with the same name, and another who was a professional gymnast. I feel it's important to note the artwork posted with this article is not Hiroshi Kajiyama's work - it was Shin Yamanouchi who did the character illustrations, like the currently featured one. Unfortunately it seems incorrect information is getting circulated (the third image on the Siliconera source is his, but not the others). I actually have folders full of his game art, some of my favorite pieces too. My sympathies to his friends and family. Rest in power my man. Always enjoyed his art. I enjoyed both games' artwork a lot. Thank you for your works and R.I.P. @PigmaskFan Yeah, that's why I was wondering if he's been seen as an assist trophy in any of Ultimate's trailers yet. If not, I'd love for him to be playable. @nessisonett He hasn't shown up as an Assist Trophy. However, no one should be putting too much stock into that. In Brawl he was an unlockable Assist Trophy, and in SSB4 he was completely absent. Either of those scenarios could play out for Ultimate given our current amount of evidence. I'd love so much for Isaac to be playable in SSBU. I've been wanting him playable in SSB ever since I first played Golden Sun back in 2002. However, at this point I just have a hard time mustering up hope. Especially after SSB4's DLC which just felt like a big slap to the face with third party characters with no relevance to Nintendo whatsoever like Cloud. Rest in peace, you brilliant man. @Harmonie People really need to realize that Smash Bros is not "just about Nintendo" anymore. Yes it used to be all about Nintendo but given the scope of the franchise, those days are long over. I want Isaac more than any other character but even I see the merit of putting Cloud into the game, Final Fantasy is a behemoth in the Gaming Scene and Cloud is the face of the franchise so of course it makes sense he would appear in Smash Bros.
@Super_D So which illustrations did he contribute to Golden Sun? 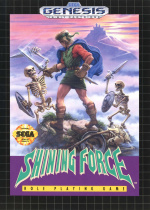 The 3rd image on the link is Shining Force. So did he have any involvement with Golden Sun at all? That's sad. I love the GS design. RIP and condolences to his loved ones. I don't know he old he was, but I assume he wasn't that old? People in the game-industry seem to die pretty young, wich is a shame. Maybe its the workforce, maybe its the lifestyle. Either way, its not a healthy industry to be in it seems. Rest in peace, mister Kajiyama.